Hello my fellow nail polish peeps, well it is that time of the month again. I must admit I love the end of the month now so much nail mail, it makes me burst with excitement. Thankfully this month I made sure both my Nailbox and Meebox were sent to my mums house so I didn't have a repeat of last months stolen post fiasco. I must admit the minute that I opened this months Nailbox I had it's beginning to look a lot like Christmas playing in my head. Nailbox definitely 'nailed' it this month. (excuse the pun) If you are looking for classic Christmas colours then this is the box for you. 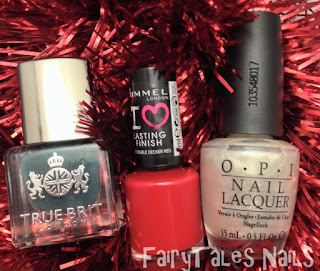 All of these nail goodies for only £15 what a bargain! The brands included in this months box are two mainstream classics and an Indie brand that is becoming a staple in a lot of our nail collections. 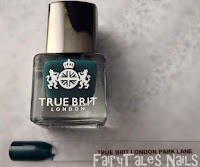 The last time I received a True Brit London polish was Taxi Cab in Septembers Creepy colours Nailbox, and I loved it. For this festive season we all need a Christmas tree green in our collection and True Brit London's Park Lane fits that description perfectly. 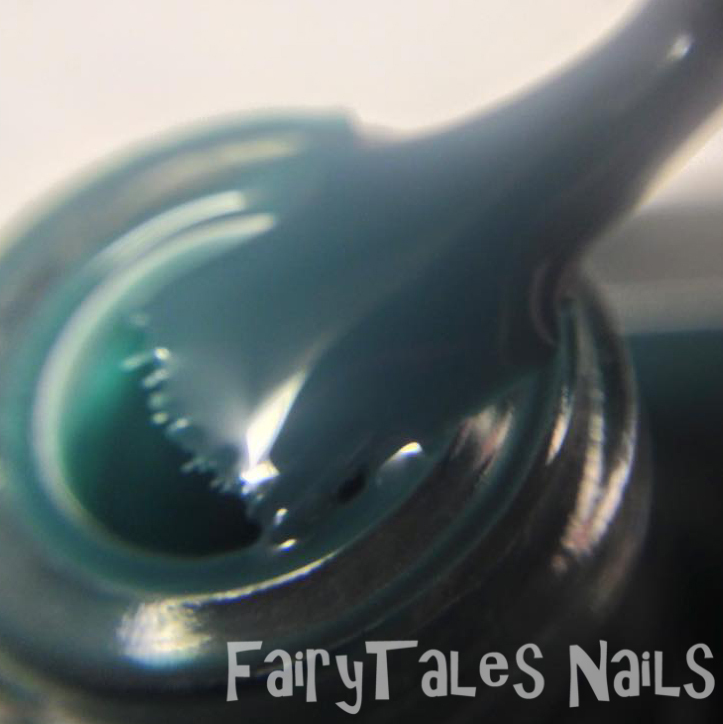 This is a dark green creme polish opaque in 2 coats, formula is really good and builds up well. 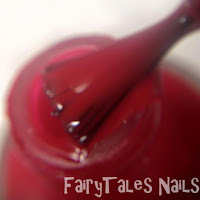 It is quite a thick polish so you may even be able to get away with one thick coat, I will be trying this out for stamping I will let you know shortly how I get on. You can pick park lane up from the True Brit London website for £12.50, this polish alone almost covers the cost of the whole box. The next polish I saw was another Christmas classic. 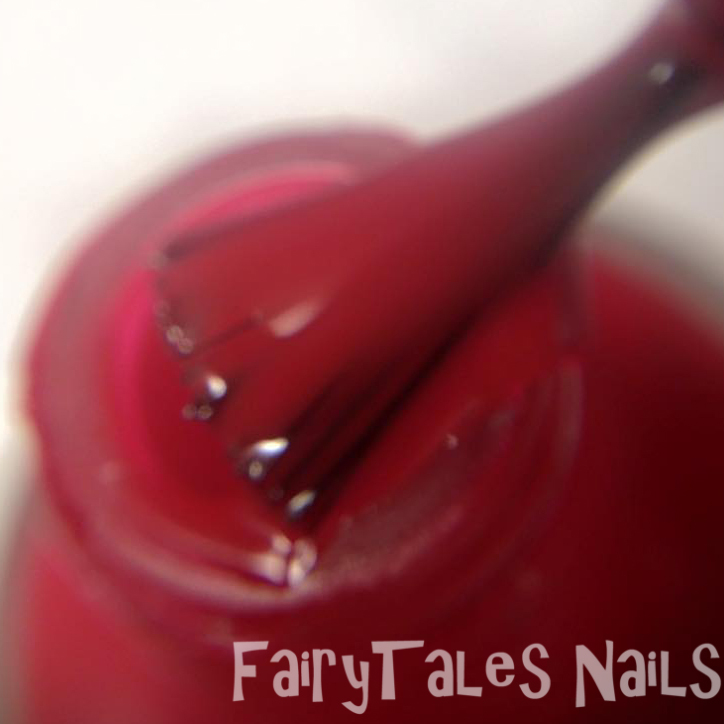 I was very happy to see a red creme polish in the box, you can't go wrong at Christmas with a red nail. 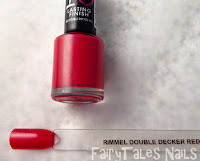 Rimmel's Double Decker Red has a fantastic formula opaque in 2 coats, This is a lovely Santa Clause suit red, I am sure this will be showing up in quite a few upcoming Christmas mani's. Double Decker red can be found on Amazon for £1.99, if your looking for a good red creme that is cheap and has a good formula this is the polish for you. 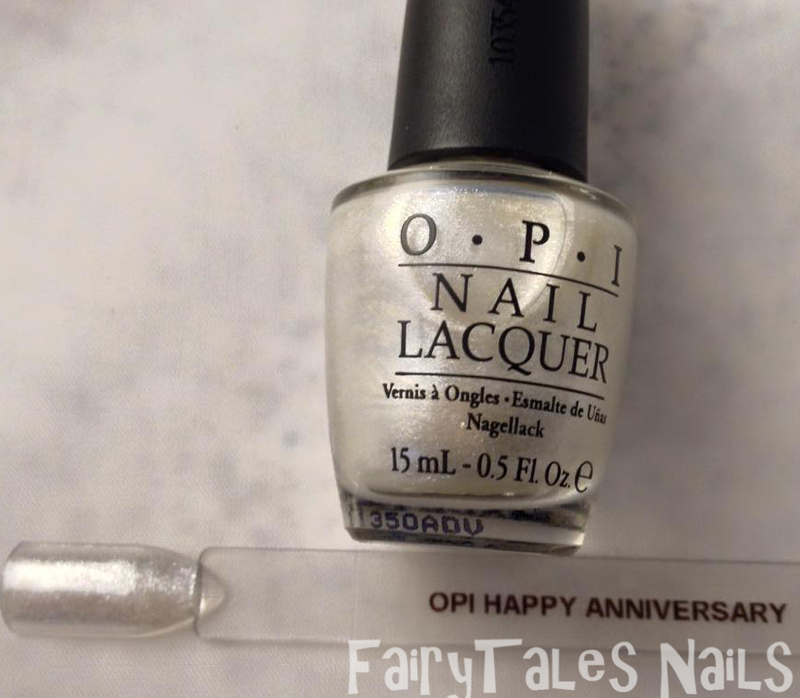 The last lovely polish in this months box was OPI's Happy Anniversary, this is a beautiful pearly white shimmer with very fine silver glitter. When on the nail it looks very silvery and shiny, it has quite a sheer runny formula but it isn't difficult to deal with. 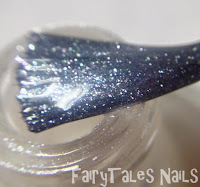 For the swatch I used 2 coats but for the nail I would say three would make it fully opaque, especially if you have really long nails. 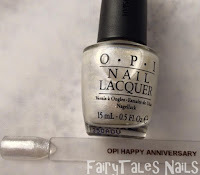 You can buy this OPI at Nailpolish.co.uk for £6.95. If that wasn't enough the lovely people at Nailbox added in a few extras, they put in these Elegant Touch totally clear short oval fake nails. I wont be able to use these on my nails as I am allergic to most nail glues that come in these kits but they will come in handy for practising my nail art. 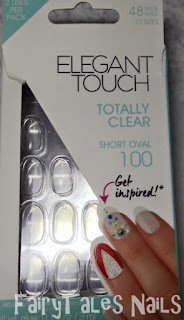 You can get these Elegant Touch false nails from Boots for £4.65. The last nail related item we were treated to this month was an Orly 180 grit nail file, these will help keep our nails in the perfect shape for the Christmas season. I love receiving a free nail file as you can never have too many of these lying around the house. You can purchase this nail file from Nail polish Direct for £1.66. If all of that wasn't enough of an early Christmas present they added in a large candy cane as a final little treat. 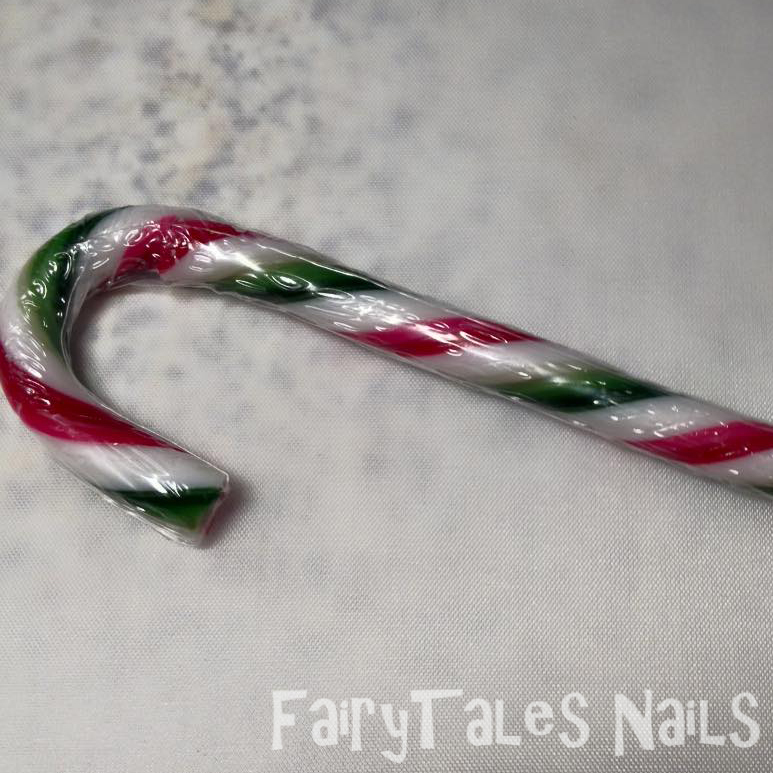 I am loving candy canes right now, there so refreshing and quite low in calories so not too bad for the waist line. So there it is all the fantastic goodies from this months Nailbox, I was highly impressed and felt that every polish fit the theme perfectly. I will be using them in a manicure tonight which will hopefully be uploaded tomorrow if all goes well. Remember Nailbox is a monthly subscription service for just £15 a month you can receive all these nail polish goodies. I will leave a link here for you to go check it out if your not already subscribed, they told us December's theme is going to be Funky fresh to bring in the New year, can't wait to see what they come up with. Go grab yours now so your not missing out! 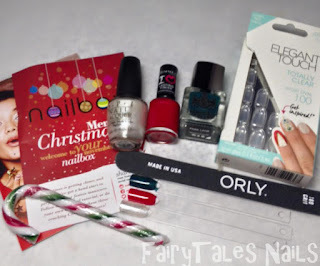 I hope you enjoyed this post I would love to know what you think of this months Nailbox, I'm almost all ready for Christmas just a few last things to get, our tree is up now and everything. It has a fan in it so snow comes flying out the top, Lexi can't stop staring at it. Hope everyone's Christmas shopping is going well and see you in the next post.